Description: Bandwidth refers to the rate at which data is transferred over the communication link. 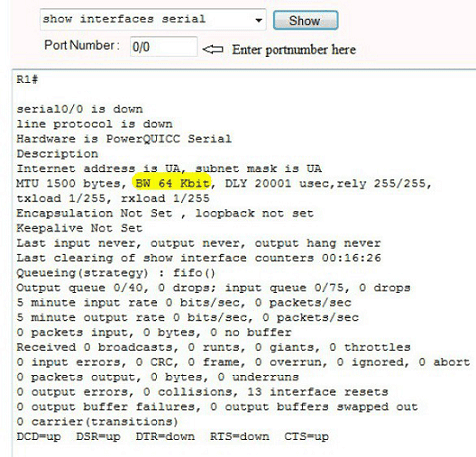 You setup the bandwidth on a given interface (interface serial 0/0) to a specified value (64 kbps). You also set the clockrate to 64000. Note that bandwidth is represented in kbps whereas clock rate is entered in bps. 1. Select device R1 from Select device drop-down box. Click Configure button, this enables left navigation pane. 3. This displays Interface and Connections screen. Click Edit Interface Connection tab. 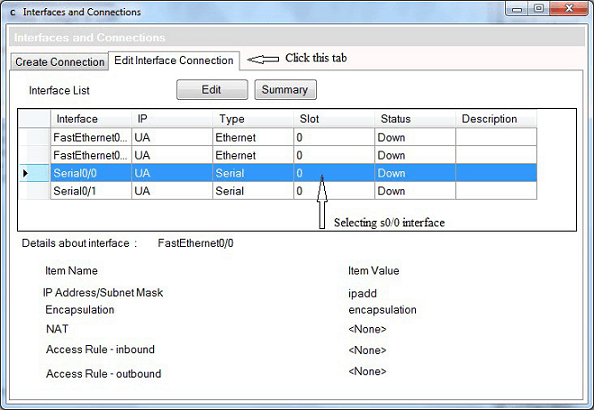 Select the interface S0/0 from the Interface List and click Edit button. 4. 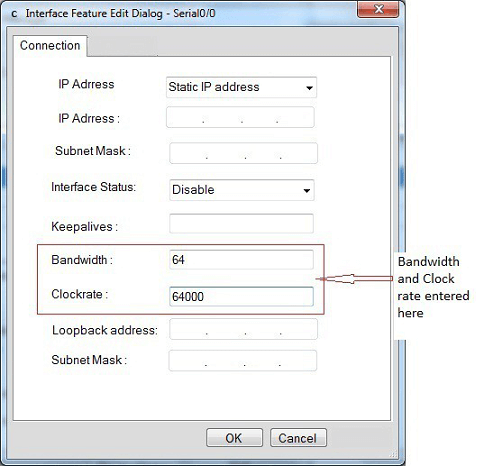 Interface feature Edit dialog appears enter bandwidth as 64 and Clock rate 64000 for an interface and click OK button. 6. Select “show interfaces serial” from show command drop down box you will be prompted with port number , enter the port number 0/0 and click show button.